TheFatRat’s musical style is variously described as ‘Glitch-Hop’ or, in the words of Billboard, “wildly energetic and genre-bending electro.” In the world of esports, TheFatRat has had his music synched-to-screen for massively popular Dota 2 and Rocket League and is the go-to artist for esports brands such as ESL and Dreamhack. His live performances include sets at ESL One Cologne 2017 and ESL One Hamburg 2018. In September 2018, TheFatRat added his ‘Warrior Songs’ music pack to Dota 2.  In 2018 TheFatRat signed with ESL and Universal Music Group Europe’s Enter Records label. Part of the alliance between ESL and UMG involves live performances at esports events. TheFatRat’s social media reach currently includes 3.1 million subscribers on YouTube and 350,000 followers on Spotify. His ‘Jackpot’ EP in 2016 reached No. 23 on the Billboard chart for electronic albums. 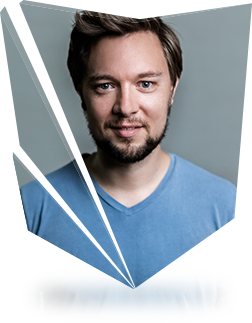 TheFatRat’s 2014 song ‘Unity’ generated 120 million views on YouTube. 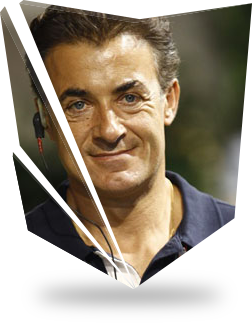 Jean Alesi, born in Avignon (France) is of Italian origin and, more precisely, the son of Sicilian immigrants to France. His father Franco Alesi was a mechanic in Alcamo, and his mother Marcella was originally from Riesi. As a son of a mechanic, he grew up alongside his brothers in the world of automobiles which provoked his passion for rally-racing. At the age of 16 he began kart-racing and in 1984, he made his debut in the Formula Renault French Championship where he raced for two years. In 1986, he advanced to the Formula 3 category obtaining No. 1 rank in 1987 racing for Team Oreca. Following his promise to the team to bring home a victory in Formula 3, he advanced to Formula 3000 where he won international titles at Pau, Birmingham and Spa-Francorchamps. After his many successful victories in these junior racing categories, Alesi entered Formula 1 in 1989 making his debut with Tyrrell. From 1991 to 1995, Alesi raced for Ferrari with whom he won the Canadian Grand Prix in 1995. Some journalists have compared him to Gilles Villeneuve for his driving style, but Alesi is primarily recognised for his popularity amongst Formula 1 fans. Following his early years with Ferrari, he raced for Benetton, Sauber, and Prost and Jordan with whom he ended his Formula 1 career. After retiring from Formula 1, Alesi raced in the DTM Championships having won several victories and attaining a No. 5 ranking as a pilot. From 2008-2009, the French pilot dedicated his career to the Speedcar Championships and in 2010 raced in the Le Mans Series with a Ferrari 360 for Team AF Corse. In 2012 he raced in his first Indy 500 becoming the oldest professional pilot to have ever participated in the rookie test to qualify for the race. He ultimately became a t.v. commentator for Formula 1. The academy will give every racing-enthusiast the chance to realize their dream of becoming a professional epports athlete and, above all, an opportunity to break the barrier between virtual and reality sports. Jean Alesi : "During my career I have driven cars and raced in many competitions of different categories, but what has always characterized my path has been the warm and enthusiastic support of fans of the sport. For the first time, enthusiasts and racing fans, have the chance to become the protagonists of the racing world thanks to eSports and I am excited about the opportunity to exchange roles by being able to share my experience and to give back some of the support and emotion they have given me over the years."